In Europe, we have conveniently forgotten the devastation this culture has inflicted (and continues to inflict) on the continent. In the USA and Australia, where the ecocide, specicide, and genocide committed by colonial forces are far more recent, people have a harder time pretending to be unaware of the effects. In Europe, we’ve lost the majority of (and are losing the last of) the primeval forestlands, once the face of this landscape and home to a diverse biotic community stretching across the bioregion. In Europe, we ignore this culture’s destruction of indigenous communities and those trying to live in truly sustainable ways. In Britain, those in positions of authority are intent on decreasing rather than increasing institutional protection of our biotic communities. With so much at stake, we must take on the responsibility for protection ourselves. I describe here four examples which deserve support from people across Britain. These are local to my home in Devon; wherever you live, you can get involved in an important struggle to protect the remaining biotic communities in Britain. Manning’s Pit in North Devon is an area of profound natural beauty. Developers, though acknowledging its high biodiversity, seek to build new human housing against the desires of the near-by community. Devon’s dominant natural features are grasses, broken up by hedges to mark differing areas of farmland, woodlands full of bird song and coastal areas whose faces are defined by the sea. As someone who lives here, it is personally saddening to witness increasing development and urbanisation. In a more politically relevant sense though, it is awful as this is the increasing encroachment of this culture on the natural world and the subsequent lose of biodiversity that results in. It’s an area comprised of Devonshire grasslands and patches of woodland; one of the last remaining homes for the bat, hedgehog and other communities of local wildlife left after agriculture and now urbanisation have left their marks. I fear what will be lost if the developers are allowed to build upon this area or others like it. While local people have a petition going and are appealing to the government for protection, should these institutional means fail, it will become necessary to resist this development directly, be that through occupation of the land, through acts of sabotage or whatever will work. In Britain the national parks represent the last of our natural landscape, before urbanisation, industrialism and other destructive effects of this culture. They are areas of beauty, where what is left of the natural biotic communities able to exist away from this culture. 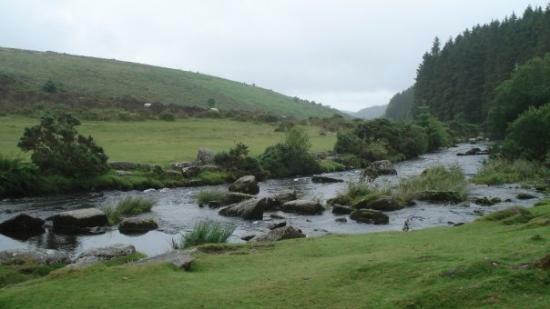 However, with drastic cuts to the institutional apparatus keeping the Dartmoor national park going and a 25% staff reduction threatened by the government, the future of this area is threatened. 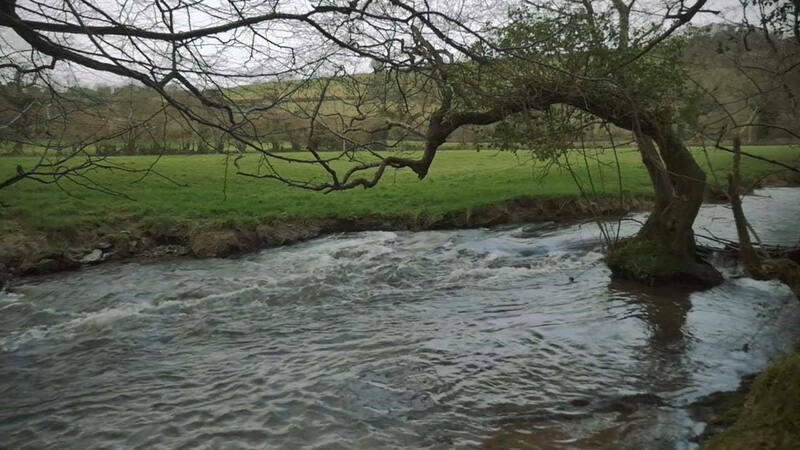 It is all too likely that Dartmoor will be sold into private hands, who will pay no heed to the habitats and biotic communities in their pursuit of profit. 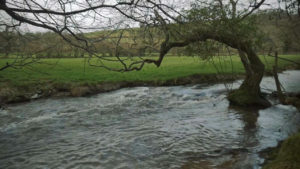 The woodland community that attempt to live on Dartmoor in such a way that takes responsibility for the environment are already under threat and face being removed. They’re hunter-gatherers attempting to live a way of life this landscape can support. Clearly the powers that be are more interested in maintaining the status quo of this culture (austerity measures to support a collapsing neoliberal economy) than they are in the land-base. Dartmoor is home to frogs, toads, snakes, slow worms, lizards, buzzards, cuckcoos, ravens, skylarks, owls, peregrine falcons, song thrushes, salmon, trout, dartmoor ponies, foxes, badgers, rabbits, squirrels, hares, stoats, weasels and deer, as well as a huge array of flora, including endangered plant species. To lose this to further destruction would be to lose one of the last strongholds for the natural biotic-communities that covered the length and breadth of Britain. Like with Manning’s Pit, if the institutional measures fail, it is the role of activists to protect this area and areas like it, through both aboveground and underground measures. The first new UK nuclear power station in a generation may be built at Hinkley Point in Somerset. The energy conglomerate EDF will soon make its final decision whether to build Hinkley Point C power station, and although the project has faced considerable delays amidst backlash from environmental groups including Greenpeace, a decision to proceed looks increasingly probable. Chernobyl and Fukushima gave us glimpses into worst case scenarios, but even without an extreme emergency the dangers around disposal of nuclear waste are reason enough to resist this possibility in the South West’s future. High-level radioactive waste from nuclear power stations is primarily uranium fuel, and its hazardous radiation can take longer than 24,000 years to decay. None of the methods of storage and disposal are perfect, and some are outright dangerous. With EDF poised to finalise the decision to build Hinkley Point C power station, environmentalists and activists in the UK need to defend the land and resist the corporate-hegemony of this energy conglomerate. Finally, farmers covering up poor farming practices are fuelling an active campaign in specicide towards badger communities across the South West. These farmers, desiring removal of the badger’s status as a legally protected animal, are driving a scientifically invalid and barbarically cruel cull done in the name of protecting cattle against TB. Badgers are an integral part of biodiversity in the region and in seeing their sets in banks and woodlands, you are reminded that, despite everything, there is still life on this island. This life represents the last of a multitude that were part of the community that characterised this land, before the dominance of this culture and human exceptionalism. Hunt Sab resistance groups are opposing this campaign and other acts of cruelty to animals, and need support if this supposedly protected animal is going to survive. The cull zone has been extended to right across the South West UK so resistance is highly needed, from both activists and those not politically active. So this is the situation in the British countryside. This culture is destroying what is left of the natural world. Immediately, in the area I live in, there are four important grassroots struggles, with many others across this island. Campaigns such as Rights of Nature UK strive for institutional protection of the natural communities with whom we share these islands. These forms of protections are highly valuable, particularly as incremental means of resisting this culture. Unfortunately, the weaknesses of laws such as those banning fox hunting, or those granting badgers status as a protected species, show that institutional measures are by no means enough. Those of us who value the natural world must fight to defend the natural biotic community and to resist this culture’s violent onslaught, in all the ways we can. This entry was posted in Biodiversity & Habitat Destruction and tagged Animal abuse, Conservation & preserves, DGR writing & analysis, England, Julian Langer, Nuclear & uranium on August 5, 2016 by Deep Green Resistance UK. The UK is to leave the EU. The world will never be the same. Many feel that this will make many matters much worse in the UK. I agree. But I also think that matters would have been getting much worse in the UK if they would have stayed. There were only two choices in the referendum: leave the EU, or remain. These options may seem quite fundamentally different, unless you take a few steps back and look at it from a bit of a distance. Almost all the arguments for and against were framed around the economy. The leave campaigners said that leaving would be best for the British economy, and for trade and jobs. The remain side claimed it would be better to stay for the very same reasons. When people are given a real piece of lined paper, literally or figuratively, then most will write neatly on the lines without much thought. This is what happened in the case of Brexit. If the paper was the full range of possibilities for people to react to the referendum, then the lines were a way to control and limit peoples’ minds and actions without them noticing. The lines drawn for the referendum suggested that only voting for or against Brexit was possible. Nothing else. Leave or remain, but no qualifications possible, let alone distinctly different options. To say the above in a different way, the lines on the paper are what you might call premises. Author Derrick Jensen argues that if you want to make people accept opinions as fact, there is almost no better way than by using language to slide these things by people unnoticed. When both leave and remain campaigners framed their position as being best for the economy, they slipped through the premise that a strong economy is desirable or even essential to live well. Citizens accepted the premise as a matter of fact, not a proposal needing consideration. How could one even write sideways on this lined paper that was handed out? Not by ticking one of those boxes. Both boxes offered by the political and economical establishment were about growing the economy, increasing trade, and creating more jobs. This meant that every vote in this referendum effectively was a vote for growing the economy, increasing trade, creating more jobs In other words, every vote in this referendum was a vote for growing the economy, for increasing trade, for more jobs, for… hold on.. when was the last time a growing economy was about making things better for ordinary people? When did they get more money to spend, and better jobs which paid better? And what about the rest of the living world? Hasn’t recent economic growth been the result of squeezing the last bits of money out of the poor classes to further fill the bank accounts of the rich? On a EU-wide scale, hasn’t it come from squeezing the last bits of money out of the likes of Greece, Ireland and Portugal, only to make the bankers in the richest countries richer? Hasn’t the EU as a whole squeezed empty other parts of the world, such as Africa? Despite its claims to virtue, the EU is not about fairness and making things better for all. More importantly, a growing economy is at its very basis a measure for how efficiently the rich few manage to force the middle class and poor masses to work away health and life (jobs) to convert ever more of the living planet ever faster into dead products for the profit of the few (economic growth), and into toxic waste and a dead planet. These are some of the very most fundamental lines on the paper provided to voters in this referendum. The leave and remain campaigns weren’t the first to draw them. These lines have been around for an awfully long time, which makes them seem even more set in stone. We’ve gotten so used to them that while they constrain nearly all our political discourse, they are more or less invisible. We notice them perfectly, or we couldn’t write neatly on them, but we are unconscious of our acceptance. What a trick. The referendum allowed voters to influence some issues. For example, travel within the EU may now be severely impaired for UK citizens. But the real matters – those determining whether we have an inhabitable planet for the foreseeable future, and thus whether we have anything to travel to – were not on the table. Their absence doesn’t mean the vote had nothing to do with them. Instead it means that every vote, leave or remain, was a vote against a planet still being able to support life. Some suggest EU environmental regulations force the UK to greener standards. Others argue that an independent UK might set stricter regulations than one limited by EU rules. Voting with this in mind might be called a form of writing sideways on the lined paper they gave you. You were supposed to vote for a stronger economy, but you used your vote to try to say something you weren’t supposed to be able to say. You were trying to, if not bring about actual change, at least change circumstances so that real change can be more easily achieved. Industries such as Renewable Energy™ attempt, quite successfully, to slide premises past us. They call technologies “renewable” even though they depend on mined minerals and fossil fuel for their production. They limit us to lively debate about whether we will power our gadgets, tools and machines on fossil fuels or on these “renewables,” never allowing the question of whether we should use these tools at all. It doesn’t matter whether the chainsaws cutting trees run on petrochemicals or on water. It doesn’t matter whether the fighter bombers dropping depleted uranium on poor brown people living on top of “our” resources fly on kerosene or on biofuels. It doesn’t matter whether the mining equipment ripping holes into the earth runs on diesel or on hydrogen fuel cells. If you use technology to kill the planet, the planet will be killed. We need to be having that discussion. If we want meaningful change, it’s useless to accept the paper we’re handed and spend our energy trying to write on the lines with integrity. Even writing sideways won’t achieve much; not only the lines, but the very pieces of paper on which they’re drawn, constrain our thoughts and actions. To obliterate the limits they impose, we must throw away the paper altogether. Consider the game of Monopoly. A player playing to win has no choice but to amass as much money as possible at the expense of the other players, with an inevitable outcome of one player ending up extremely rich and, because of that, the rest reduced to beggars. (A player indifferent to winning will simply become a beggar more quickly.) If the players feel the game isn’t going well, they might vote to replace the current banker. But the new banker is constrained by the design of the game such that nothing significant will change. The players cannot change the outcome unless they completely change the nature of the game. Effectively, they must replace the game with something else. We should keep this in mind as we evaluate the dominant culture. We have more than just a vote. We are not limited to marking an X on a piece of paper to decide who rules us while we continue playing the same game. We can use our voices without the constraints of the lines or the papers. We can use our hands, arms, legs, feet, knees, elbows and hard heads to wipe the monopoly game off the table and replace it with a game which benefits all. Such a momentous change would expose Brexit as the non-event it is. This entry was posted in Strategy & Analysis and tagged Elections, United Kingdom on July 6, 2016 by Deep Green Resistance UK. As a radical environmentalist group defending the living world, Deep Green Resistance UK (DGR-UK) advocates that activists consider any and all means available in our fight. This includes institutional means such as voting. While it is questionable that either Brexit option will significantly impact this culture’s relentless assault on the living world, or its treatment of other cultures, DGR-UK asks that you consider the following aspects. The EU’s main “mission” is the formation of a centralised superstate, the modern manifestation of the empires throughout history. Who benefits the most from this superstate? The multinationals of neoliberal globalization, the industries and corporations destroying and polluting the living world. While being part of this “community” provides individualistic benefits for British people, these don’t justify our remaining part of this abhorrent institution. Rentier monopoly corporations and tax dodging elites freely flourish within the political body of the EU. And though Boris Johnson’s Third Reich comments were completely moronic, EU nations such as Hungary, France and Austria are seeing significant rises in their right-wing and ultra-nationalist parties. Being part of this “community” does not present the progressive prospects argued by many in the “remain” camp. Greece gives a clear picture of the problematic future we should expect if the TTIP era of politics and economics continues unchecked. Anyone from a broadly left-wing anti-capitalist position will oppose such developments. Remaining in the EU would mandate our inclusion in this “partnership,” whose sole purpose is to make it easier for American and European businesses to conduct the practices we as activists resist. Do we really want to be included in this undemocratic and tyrannical trade agreement? The EU is little more than a new form of colonialism. This is apparent in activities such as the “Pan-African initiative”, which continues a long history of violence and abuse in the continent. These Eurafrican policies put African people in extremely vulnerable positions of racial stratification and violence, directly rooted in Europe’s posturing. The resulting corruption has a huge impact on the lives of Africans and on the lives of African wildlife. Nowhere is this more apparent than in Africa’s poaching crisis, with its links to the ivory trade and cartels colluding with corrupt African officials. Do we want to be part of and support a political body which is worsening the situation in Africa? Corruption, sustained by Eurafrican political arrangements and neoliberal globalization, is worsening poverty and decimating species central to African bioregions. Consider this as you cast your vote. Finally, consider the environmental effects of a Brexit. Deals that the EU are involved with, such as the Paris Climate Deal are completely worthless, with just promises, no action. With the world in a “now or never” situation, can we really afford promises without actions? Will promises halt global warming? Will promises protect the habitats and species at risk from climate change? Clearly, they wont. We are likely to see the same responses to environmental issues within the EU in the future: promises, with no action. Brexit would enable the UK to set stricter environmental legislation, improving UK ecology, which needs to be at the forefront of all political decisions. We need to act in the best interest of the flora and fauna with whom we share these islands. We are not hopeful that if we leave the EU, the Tories or Labour Party will take needed action, but we question remaining part of a political body which restricts the very possibility. Neither a remain nor a leave decision will have a drastic impact on any of these issues: the establishment at any level won’t allow changes which undermine the status quo of this culture. But in our work as activists, we need to do all we can to support the living world, including voting for incremental improvements. To remain in the EU has obvious benefits for British people, but are these reasons of capitalist-ideological-individualism good enough? Regardless of whether you vote in this referendum, DGR-UK ask you to consider what it really means to be part of the EU. This entry was posted in Lobbying and tagged DGR writing & analysis, Elections, Julian Langer, United Kingdom on June 18, 2016 by Norris Thomlinson. We’ve listed the underground actions in the UK that are in the public domain, but what about those we don’t hear about? There’s a rich and continuous stream of resistance that never sees the light of day, never seeks the media feeds or the spotlight. A conversation with a friend recently highlighted this ongoing resistance; whilst transiting through a train station near London he overheard an interesting conversation between four rail engineers discussing ongoing targeting and sabotage of strategic signals in the area. He followed them discreetly to hear more. It seemed that for a prolonged period of six months or more, specific signals along a freight route had been targeted and sabotaged. Trains on this route transport key resources such as minerals and coal. The nuclear waste train also uses this route. The engineers said it was happening with such foresight, and so very well timed to disrupt the route on a regular basis, that it must be done by someone with inside or working knowledge. We can’t know or speak for these people but we in Deep Green Resistance support their work. With foresight, planning, and research, it is possible to conduct effective actions without disrupting or harming the public. These actions have caused so little trouble to the public that no one is aware of them, and they’ve gone unreported. The establishment don’t want to report these (unless for disinformation or to discredit groups) so as not to encourage or alarm the general public to the fact that resistance is organised and ongoing. Please share this story as one example of the untold resistance. This entry was posted in Property & Material Destruction and tagged Ecosabotage, London, Rail on April 17, 2016 by Deep Green Resistance UK. DGR UK attended and organised a few events through Autumn 2015. We’ve moved forward with two of the areas we decided to focus on at last years strategy meeting. DGR UK members attended the London Climate March on November 29th. We spent most of the march at the front by the “’Wretched of the Earth’ bloc, representing communities of colour on the frontlines of climate change.” Read this damning report back of how this group was treated by the liberal march organisers. I’m sure most of you won’t be surprised by what you read. On November 19th we organised a private event with Lierre Keith (author of the DGR book) in NW London. About twenty five attended and we had an interesting discussion about radical feminism and how it relates to DGR and ending industrial civilisation. Everyone seemed to get something out of it and there was talk of organising another similar event (without Lierre) in 2016. On October 25th, Adam and Ben visited Grow Heathrow in West London. Adam gave a DGR introductory talk and Ben followed with a workshop exploring the problems of civilisation. Thanks to Grow Heathrow for the invite. The Earth First Winter Moot 2016 is on February 19-21 in Stroud. Hope to see you there. This entry was posted in Movement Building & Support and tagged DGR activity & statements, Deep Green Resistance, United Kingdom on January 15, 2016 by Deep Green Resistance UK. How many bright greens does it take to change a light bulb? How many dark greens does it take to smash one? Subscribe to the News Service and the main blog to stay up-to-date on DGR news and writing. This entry was posted in Climate Change and tagged DGR writing & analysis, Greenwashing, Julian Langer on December 24, 2015 by Norris Thomlinson. Lierre Keith, co-author of the DGR book, will be in London on Thurday 19th November. If you’d like to attend a private evening event with her email uk@deepgreenresistance.org. Numbers will be limited. This entry was posted on October 16, 2015 by Norris Thomlinson. Deep Green Resistance UK members will be running a intro talk/discussion/Q+A about DGR followed by a workshop on the problems of civilisation at Grow Heathrow. This entry was posted on October 6, 2015 by Norris Thomlinson. There is a lot of excitement about Jeremy Corbyn and that’s understandable, he’s certainly going to make UK politics more interesting and open up the debate. He has some sensible views for a politician, but is he electable? According to his wikipedia page – he would like to renationalise the energy and rail companies. He has also suggested introducing women only carriages on public transport and a 24 hour hotline for women to report harassment, which sounds like a good idea to me. He would like the UK to pull out of NATO and opposes the replacement of Britain’s Trident nuclear weapons system. He has some very progressive ideas on climate change and environmental protection laid out in his Protecting Our Planet manifesto. He’s against fracking, wants to phase out fossil fuel extraction and is against any new nuclear power stations. He also wants to invest more in renewable energy and public transport to improve air quality. What a nice surprise to have a reasonable human being leading a British mainstream political party. But hang on a minute! Didn’t lots of people get excited about David Cameron, Tony Blair and John Smith when they were elected leader of the opposition? Did they change anything? Did they reduce the number of species being murdered by this culture? Isn’t that what this culture does? Every so often it feeds us a new politician to get excited about. Someone that’s going to be better, greener, more skilled at managing the economy. What about Obama? Talk about a let down. Its a good distraction to keep us focused on the mainstream agenda. So please don’t get too carried away and remember that civilisation is still the problem and we need grassroots, organised political resistance to bring it down and end the destruction of our beautiful planet. This entry was posted in The Problem: Civilisation and tagged Elections, United Kingdom, 6: Civilisation is irredeemable on September 17, 2015 by adamherriott. We have started moving forward with all these areas. DGR UK members attended the London Anti-Austerity march on June 20th. DGR UK members attended the Reclaim the Power camp in May and got involved in one of the actions. DGR UK members attended and helped with the organisation/running of the Earth First Summer Gathering. It was a very well attended and enjoyable gathering and we look forward to next years. Three groups in London have contacted DGR UK to request we attend their meetings to speak about Deep Green Resistance. Some of these will be public events so we will share the dates once they are confirmed. DGR UK members will be at the COP21 London climate change march on November 29th, hope to see you there. This entry was posted in Movement Building & Support and tagged DGR activity & statements, Deep Green Resistance, Organizing strategies, United Kingdom on September 5, 2015 by Deep Green Resistance UK.